What's the best way to keep coffee beans fresh? When it comes to coffee, we’ve heard of the freezer trick, and we’ve see airtight canisters for sale. But what do experts say is the best ways to preserve coffee beans’ flavor? After consulting coffee pros, we can say that most of the recommended methods are blessedly simple. Before we go there, though, let’s assume we’re talking about storing whole beans. Experts absolutely recommend whole over ground coffee, and not just for snobs. 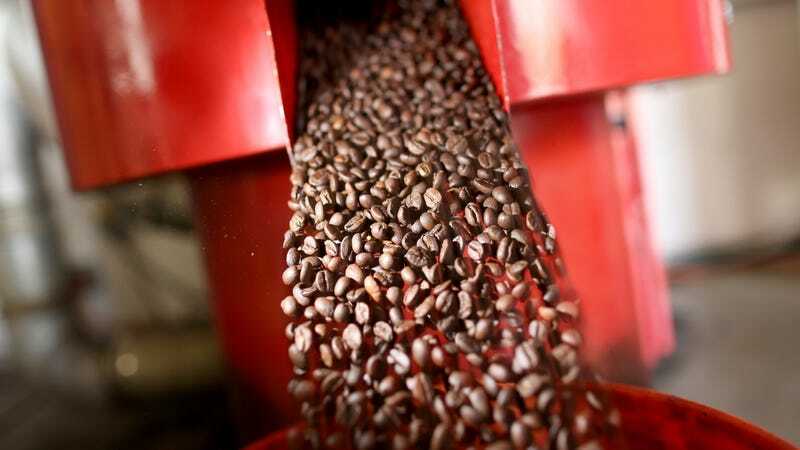 “Whole-bean coffee in ambient oxygen will begin to present stale flavors in about 10-14 days, while ground coffee will begin to present stale character in about 24 hours,” says Spencer Turer, a quality expert at Coffee Enterprises, a coffee consulting and analysis firm. Because ground coffee’s surface area is more exposed to oxygen than beans, oxidation begins to happen within just hours of grinding. “Coffee people get a little bit obsessed and a little bit boring when telling people to grind coffee, but it’s just so significant,” says Peter Giuliano, chief research officer at the Specialty Coffee Association. Another starting tip: Buy only the coffee you need for the week rather than stocking up. Like lettuce or cream cheese, coffee beans are perishable. We don’t often think about it this way, but coffee is a seasonal crop. It grows at certain times of the year in certain regions; for example, Northern Hemisphere growing areas are now entering their harvest period. So check when a coffee was roasted, and if you’re drinking single-origin coffee, consider looking further into the harvest seasons for regions that you like. If you’re starting with old coffee, how you store it won’t much matter. That’s because soon after a coffee bean is roasted, it’s de-gassing, a process that leaks aroma and flavor. Carbon dioxide is a by-product of roasting, so much so that a bean will inflate about 20 percent during the process. At about two weeks after roasting, the beans begin to leak out that CO2, which carries with it compounds that make coffee taste good. OK, so you’ve brought your fresh, whole beans home to your kitchen. If they came in a foil-lined bag with one of those one-way valves on it, good news: You should just store your coffee in there! The valve’s purpose isn’t so you can smell the beans; it’s to let CO2 out (lest the bag puff up like a balloon) and to block oxygen from entering the bag. Expect coffee to stay fresh in one of those sealed, foil-lined, Ziploc-top valve bags for about six to nine months, according to Turer. Even lower-quality valved bags will do an okay job for at least three months, longer than most people will keep a bag of coffee around anyway. If your coffee came in another type of package, maybe a paper one or a bulk bag from the supermarket, you’ll want to transfer it to an airtight, opaque canister. Careful to keep that jar clean, though. Resist the urge to refrigerate or freeze your coffee beans. They’re surprisingly absorbent and will soak up moisture and aromas from the Korean takeout or leftover pizza in your fridge. Freezing beans can slow the staling process if you’re not going to use the coffee for weeks or months, but Giuliano cautions against keeping your everyday coffee in there. If you’re not ready to buy a V60 or start measuring beans with a digital scale, that’s more than fine. It turns out that the lazy method of storing coffee—leaving it in its bag, putting it in the pantry—is the best ways to preserve its flavors. Here’s a good rule of thumb from Sam Sabori: “Treat your coffee like bread.” Keep it out of direct sunlight; keep it relatively cool and dry; don’t refrigerate it. It’s that easy.